Believing that education has unrivalled power to transform the lives of the marginalized girls from the neighboring villages and rural areas, Sanskaar Vidhya Niketan has taking complete tutelage responsibility of these young girls with free education that will help alleviate their social, economic and emotional conditions and empower them with necessary skills to break the cycle of poverty. The vantage point for the students of Sanskaar Vidhya Niketan is that they are extended the same quality of education that is synonymous with the one delivered at the parent school, The Sanskaar Valley School. 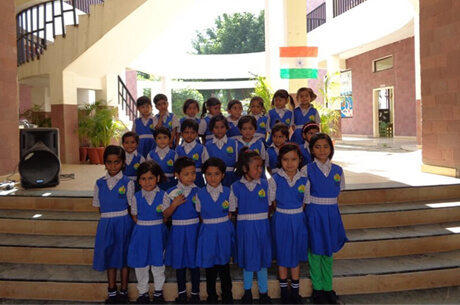 SVN looks forward to educate 3000 girls by 2018-19.